This step of the wizard is available if you selected a GFS media pool at the Full Backup step of the wizard. 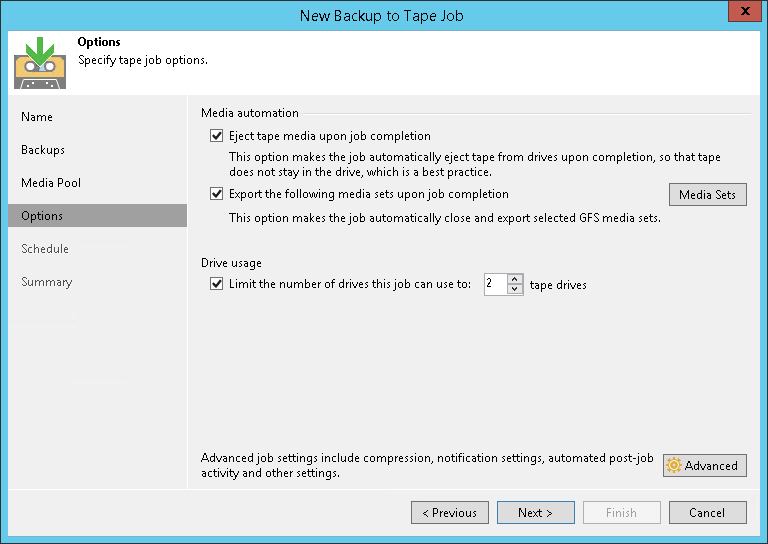 Select the Eject media upon job completion check box if the tape should be automatically ejected from the tape drive and placed into a free tape device slot when the job finishes. Select the Export the following media sets upon job completion check box if you want to pull out the tapes with some media sets from the tape device, for example, to move to a storage location. The tape device will eject the tapes that belong to the selected media set. Click Media sets and select the media sets that you want to export.